Studio Crew - Funniest Thing! The Funniest Thing! Studio Crew Loves You. Each week chief audio engineer Jeff Comfort "takes us right into the Comfort zone." 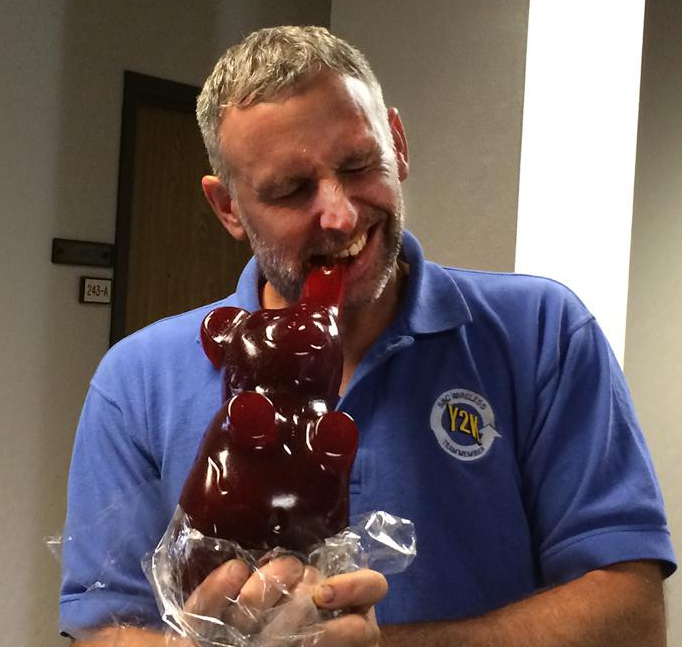 Jeff Comfort enjoying a giant gummy bear break. 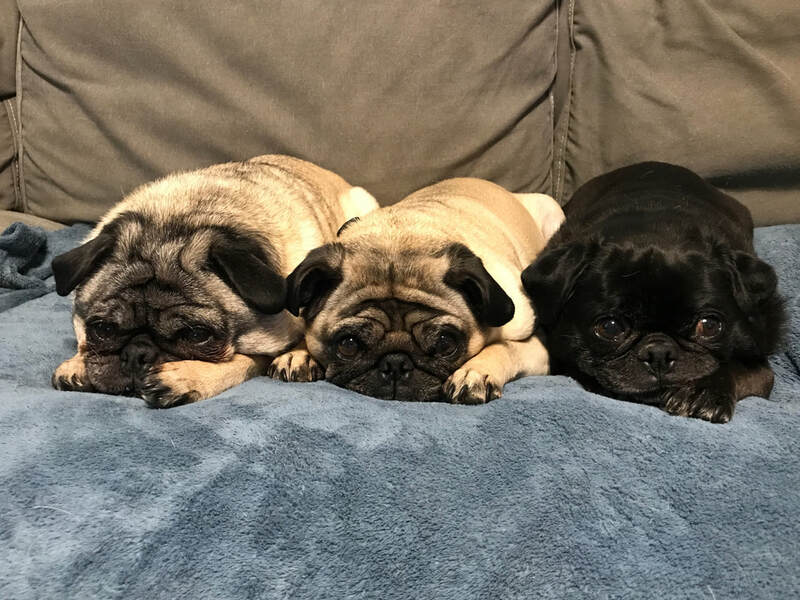 In order to successfully record and broadcast Jeff relies on Bittles, Priscilla, and Lilly, the audio pug-ins. Bittles, Priscilla, and Lilly are never sure what to expect during this program. 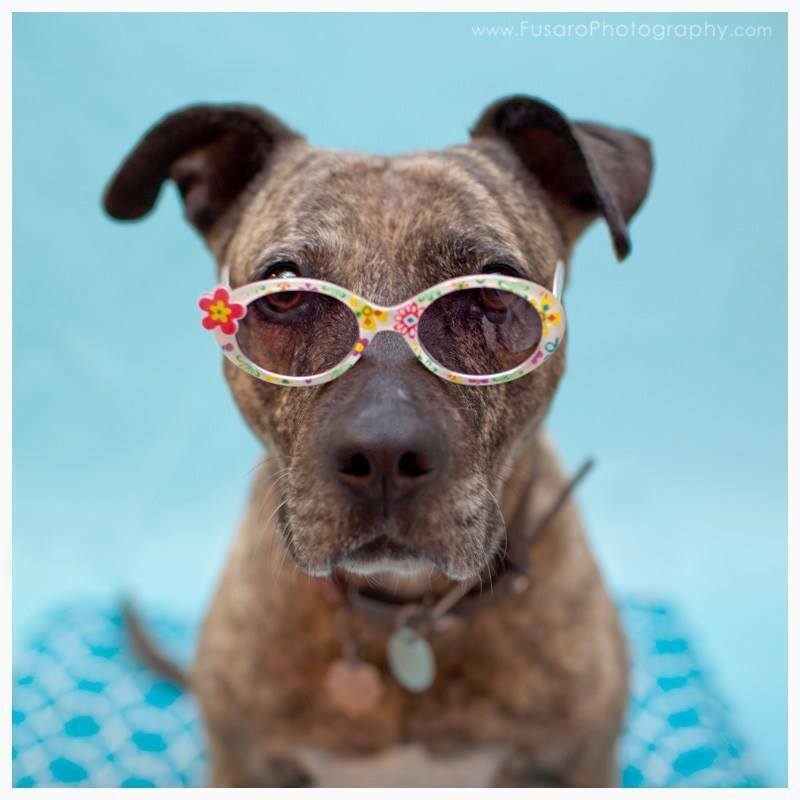 Gabby the Postal Pit Bull rushes your weekly correspondence into the studio to be read by Darrell and Ed live on the air! Station Manager Mr. French works tirelessly behind the scenes at Middle School Studios to ensure that each and every episode is held to the highest of standards. Mr. French, Station Manager, Middle School Studios, Culver City, CA. Social Media Good News-er Susie Thomson keeps everyone up-to-date, inspired, and feeling great with her illustrated Funniest Thing! updates. In addition to making Darrell and Ed look good, Susie's busy creating artwork that makes people smile.